This week, we’d like to help an 8 year old boy called Finley from Hampshire, who is a young carer for his mum. Finley’s mum has struggled with her mental health for many years now. His dad is in the military and regularly deploys, so Finley and his mum are on their own a lot. From a very young age, Finley has done everything he can to help her. He spends as much time at home with her as he can, forgoing after school clubs, as he knows she doesn’t like being on her own. He helps to clean, look after the dog, and reminds his mum to eat and to take her medication. He is a truly amazing young boy. Finley is also partially disabled. He has a knee condition which gives him constant pain and affects his mobility. 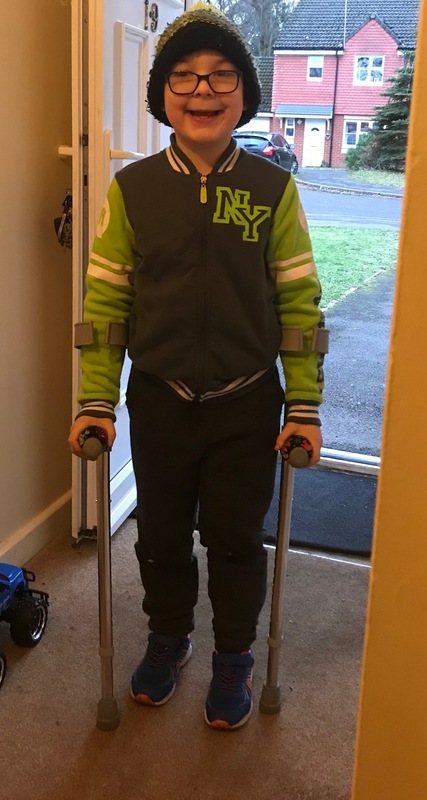 He used to be a very active boy, but now he wears a full leg brace and walks with crutches, meaning he can’t even ride to school with his friends. 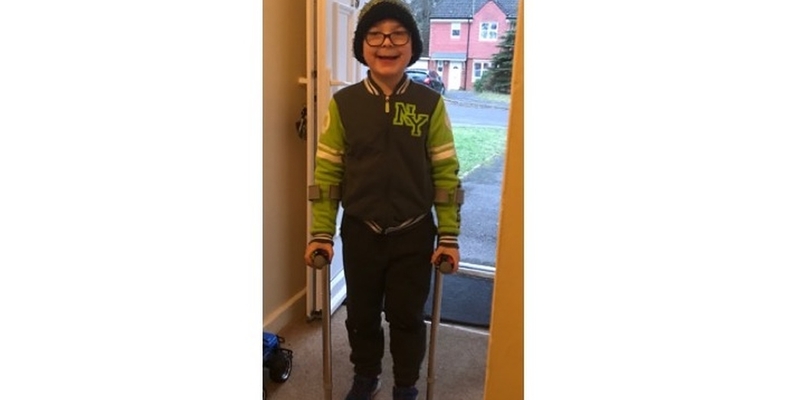 With your help, we would like to buy Finley a specialist trike that would allow him to ride to school with his friends. 1. Donations: We'd like to raise £500 to buy Finley a specialist trike that would allow him to ride to school with his friends. Any donations we raise above what's needed for the trike will be used to help Finley and his mum in other ways. 100% will be used to help them. 2. Gifts: Finley's mum has been through a lot, and so we wanted to do something kind for her as well. When we asked her, she said she just wanted this to be about Finley. But we found out that she loves to cook and is in need of some new cookware, so we have set up an Amazon wishlist with a couple of the things we know she needs. To buy one of these items, please click the link below. 3. Messages of support: To send a kind message to Finley or his mum, please write it in the form below (your message will be passed along but not your contact details). Or if you'd like to post a message, it can be sent to 52 Lives (Life # 192), PO Box 3154, Reading, RG1 9AT. We did it! 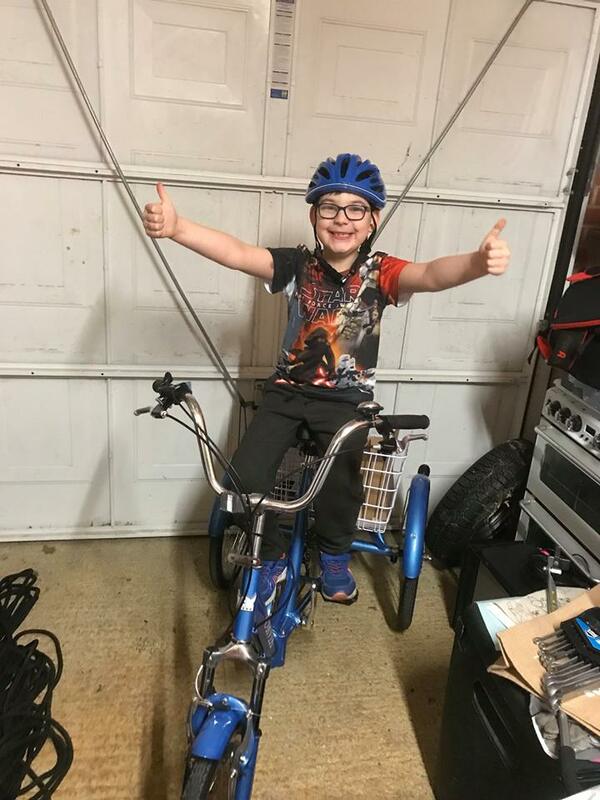 Thanks to all of you, we raised enough for the trike, all of the accessories for the trike, plus so many toys and gifts that absolutely made Finley's day. We were also able to send the family some gift cards to help with groceries (Finley has a lot of allergies, so their food bills are high). Meeting Finley was something I'll never forget. He is such a kind and humble boy - and completely unaware of how special he is, and how taking care of your mum is not something an 8 year old normally does. He kept saying to me: "But I don't do anything special." 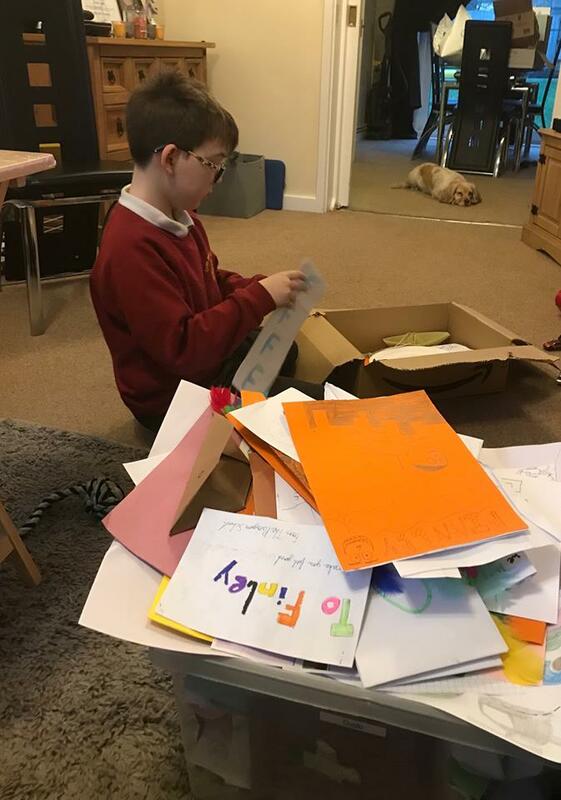 We were also able to deliver Finley a big box of beautiful cards and messages, sent by 52 Lives supporters and also the children at The Paragon Junior School, who made gifts for Finley in one of our School Kindness Workshops. A big thank you to everyone who helped by making a donation, buying a gift or sending a message, to Debbie Walker, to Jorvik Tricycles for building his trike, and to Gala Bingo for helping to raise funds. 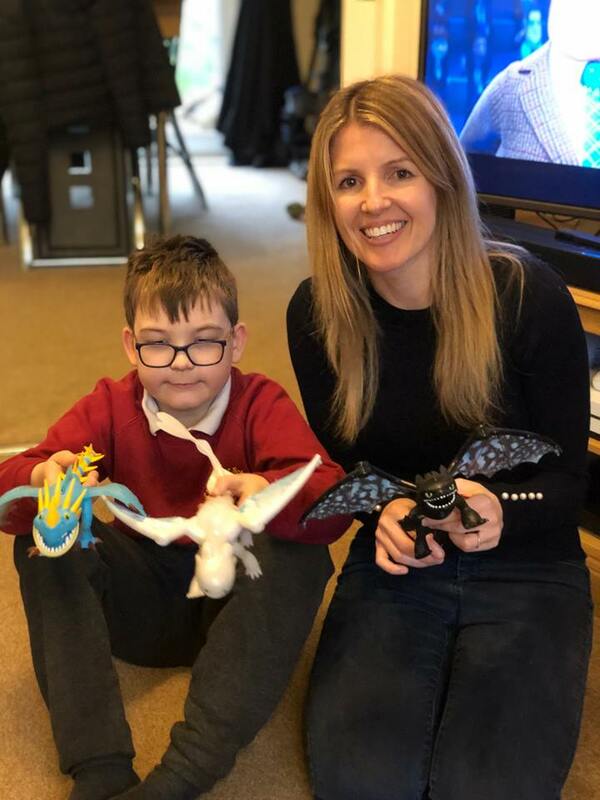 After we had bought everything they needed, Finley and his family asked us to donate the remaining funds to the young carer's organisation that supports Finley.